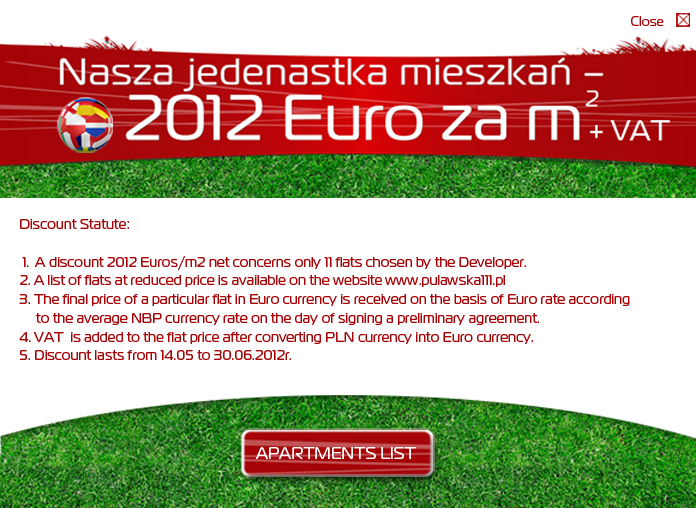 ECC is one of the most active foreign investors and developers a on the Warsaw real estate market. In 2009 company celebrated its 20-th anniversary. Since 1994 until today the company has developed projects of the total value of over 500 million USD, delivering over 130,000 m2 of office, commercial and entertainment space. The first success of the company in the real estate area was the “Green House” project – a modern office building in Hankiewicza street in Warsaw, of the total area of about 4,000 sqm. It is an example of the highest standard of office buildings. Completion of the first project allowed us to get insight into the reality of the construction on real estate markets in Poland an added valuable experience to our portfolio in the field. Soon afterwards, ECC started simultaneous construction of two new projects: PROMENADA – an office and shopping complex in Ostrobramska street in Warsaw of the total surface of about 30,000 sqm (phase I) and a modern office building of the total surface of about 4,000 sqm in Bitwy Warszawskiej 1920 street in Warsaw. The edifice in Bitwy Warszawskiej 1920 street is a modern “A” class office building, offering about 4,500 sqm of office space, luxury apartments and a system of ground level and underground parking places. The building was completed in 1995 and leased in its entirety to Asea Brown Boveri (ABB) Poland for the seat of the company. Promenada Office and Shopping Centre in Ostrobramska street in Warsaw is a modern office and shopping complex of the total surface of about 30,000 sqm (phase I). Construction of phase I was completed and delivered for use in 1996. It consists of two sections: about 15,000 sqm of presentable office space and a unique three-level atrium of the surface of over 15,000 sqm, which houses an elegant shopping centre. About 120 exclusive stores are located in the centre – it is one of the bigger ones in Warsaw and the first one arranged as an American style shopping mall. Phase II of “PROMENADA” project i.e. “MULTIPLEX” Cinema and Entertainment Centre was completed and delivered for use in December 1999. The new facility of the surface of almost 15,000 sqm includes among other things a 13-screen cinema. The new building is directly connected to the existing shopping area of the PROMENADA Centre. In spring 2005 the first section (5 terraced houses) of the Podkowa housing Estate was delivered and third phase of the development of Promenada Centre was completed and delivered for use. The extension of the shopping space has added about 25,000 sqm of extra commercial area. Phase III includes e.g. a grocery supermarket, large clothing retailers of well-known brands, specialized service points, a food court and a few cafes. A skating rink, open all year round, is a huge attraction to customers of all ages. 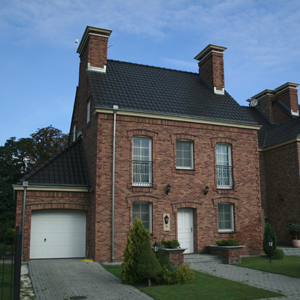 development of further sections of Podkowa one-family houses residential estate in Koninko near Poznań, in the area of the total surface of about 35 ha. The project includes terraced and semi-detached houses, the target is 198 dwellings. Development of a luxury apartment building in Puławska str. In Warsaw consisting of 120 apartments in a seven-storey modern building in Puławska str in Warsaw consisting of 120 apartments in a seven-storey modern building designed by well-known architects “Kazimierski I Ryba”. In the next few years the activity of the company will be focused on further residential and commercial real estate projects in bigger cities in Poland .